While perusing through one of my cookbooks, I came across a recipe that looked simple enough. Since my previous post (Cookbooks: a love/hate relationship), I have come to use cookbooks in a different way…I use them more for ideas than actually following them step-by-step. So “following” this recipe for Vegetable Pilaf from Vegetarian edited by Nicola Graimes, I came up with this really flavorful dish. 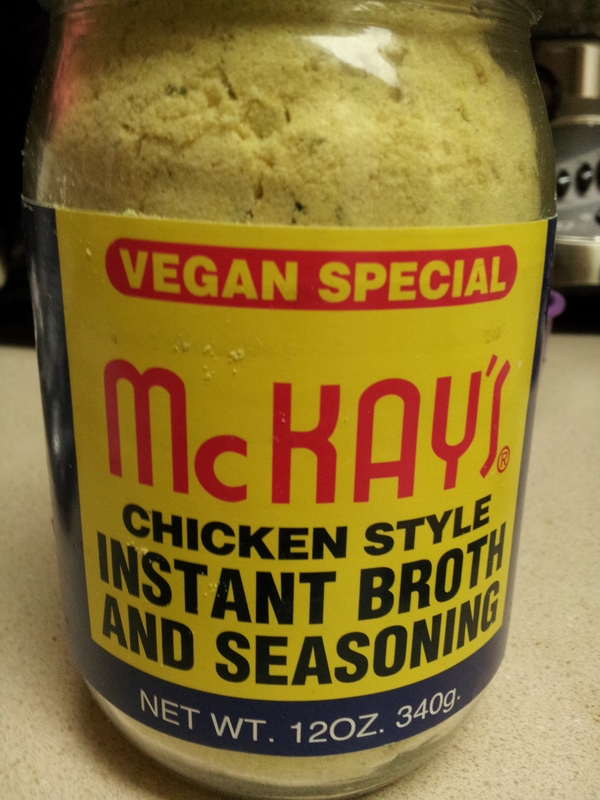 Y’all know how I like to cut corners sometimes when it comes to cooking, so I got this boil-in-a-bag situation..
My mom bought me this a while ago, it’s like vegan “chicken” broth. 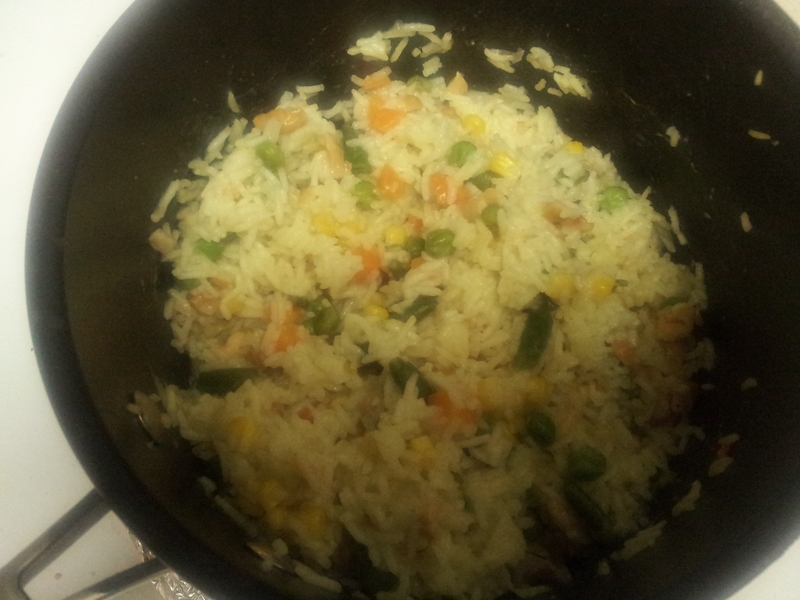 I decided to boil the rice in it. 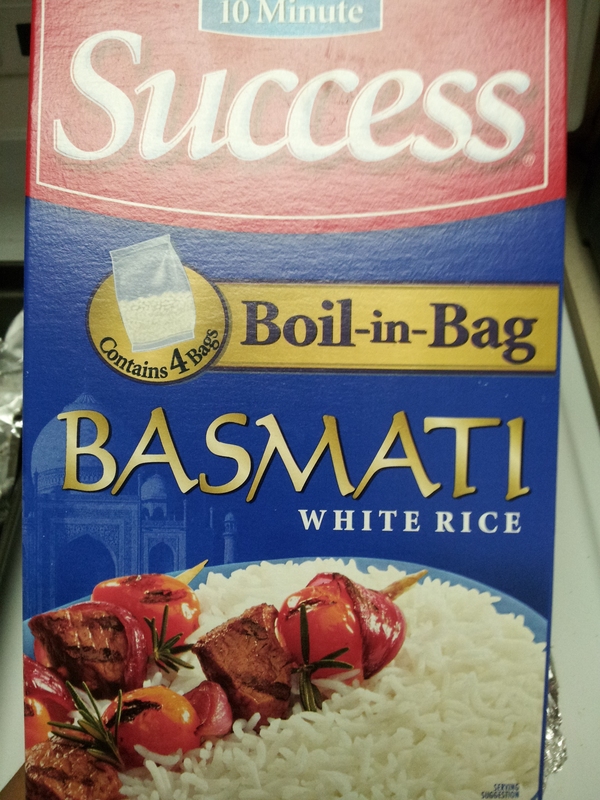 Put about 2 or 3 spoonfuls in the water and followed the directions on the rice box. 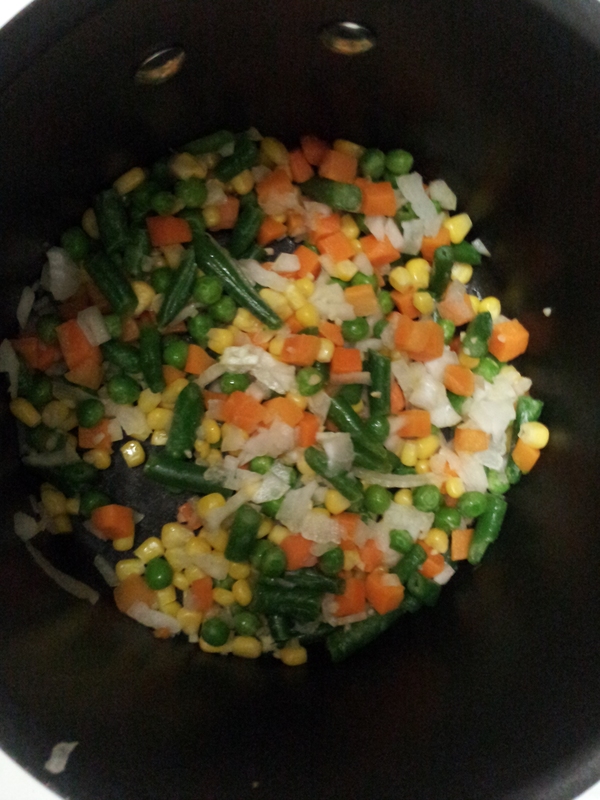 Once the rice is almost done, remove from pot and add to the veggies. 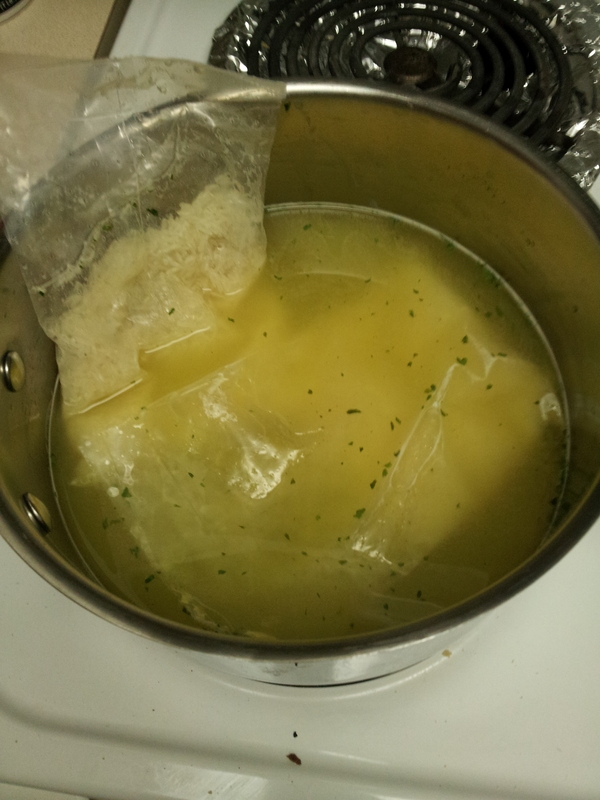 Add a little of the broth and continue to cook everything together. 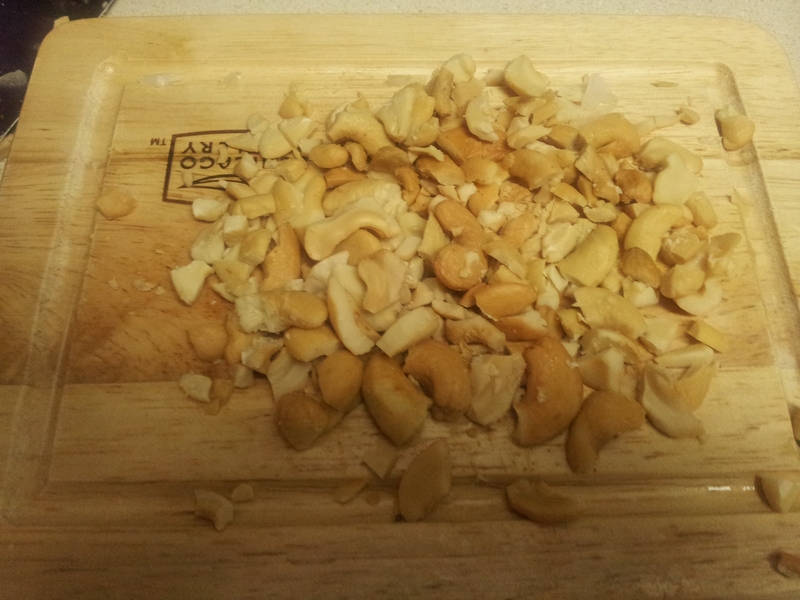 Also, add a little ground cumin and roughly chopped cashew nuts. I had a can of mixed nuts so I just picked out the cashews and crushed them with a big knife like I see on the food network. I let everything simmer for a few more minutes covered and then it was ready to serve. 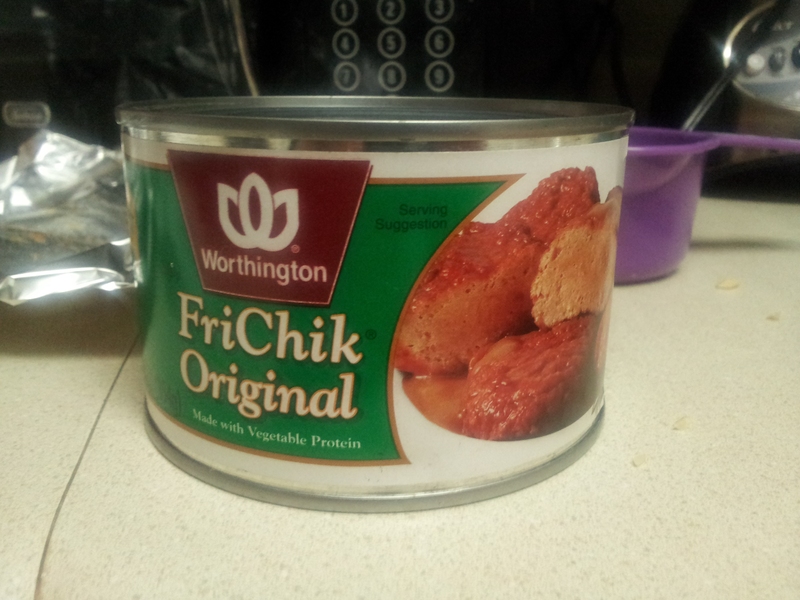 For the meal to be complete, I added some FriChik..I grew up on Lomalinda and Worthington canned goods (not sure if that’s good or not) but FriChik is one of my faves (right up there with PrimeSteak). You can buy them in bulk on Amazon.com and they are pretty expensive so I’ve started using them sparingly lol. All I did was drain the can and heat them on a plate in the microwave. Sometimes, I make gravy to eat with it but I was too lazy. 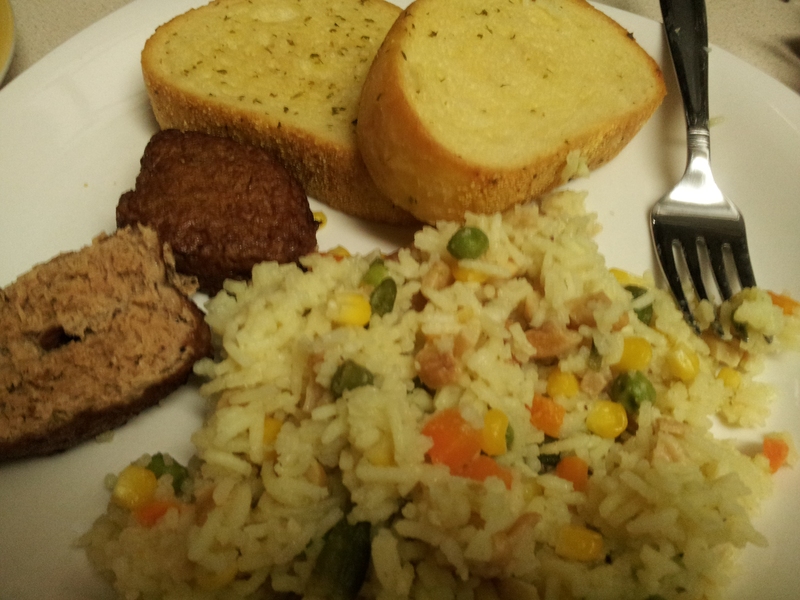 And of course, garlic bread goes with everything as far as I’m concerned. 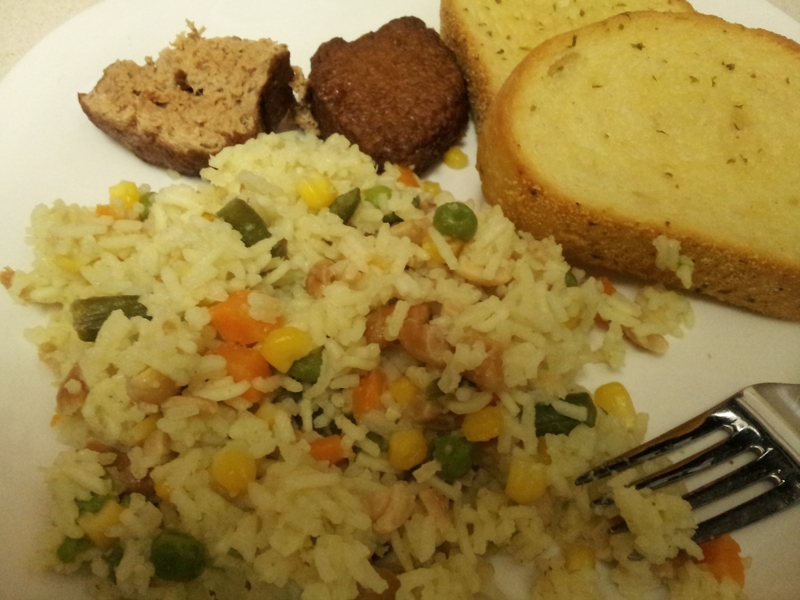 The rice was full of flavors, I loved it! And the cashews added the nice crunch factor.